Why would you use AXEDO® inspection chambers in a housing estate? Lets talk through why you need to be using AXEDO® inspection chambers in your next house build. 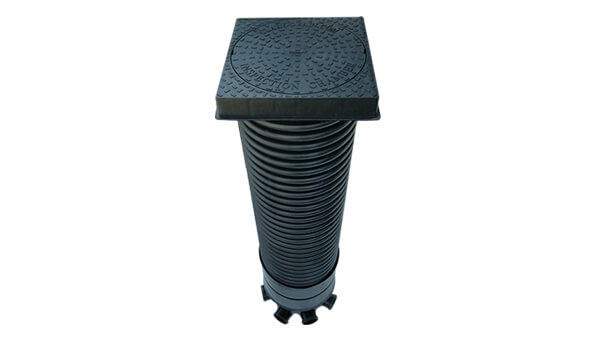 Inspection Chambers are installed in properties as a mean of accessing and cleaning out the underground drains beneath. 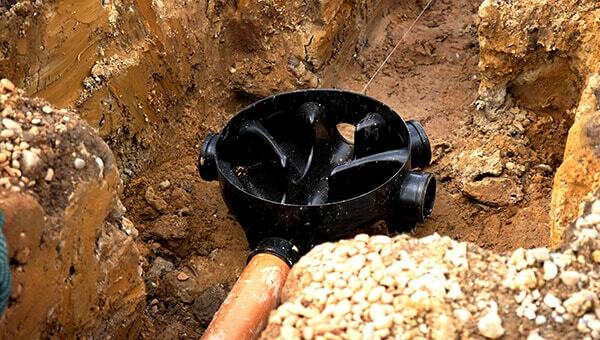 You’ll generally see them installed at the property line of a building as this allows the city to access the foul or storm sewers without disturbing the property owner. They are a vital component to any house building project. Which chamber should I use? JDP recommends using AXEDO® inspection chambers as many of the range features are ideal for use in housing estates. AXEDO® is highly praised for its ease of installation. All of JDP’s AXEDO® bases can be used with the ULTRA3 pipe without the need for adapters, the pipes simply push into the base outlets. 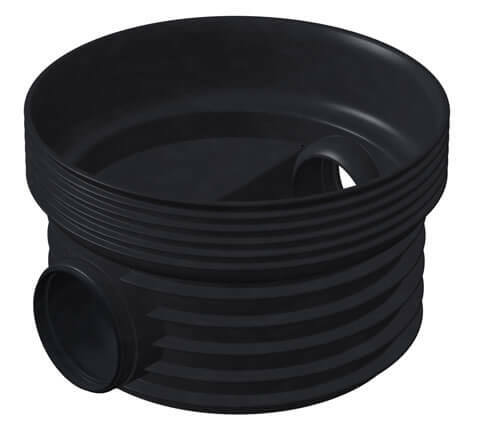 Even if you’re not using ULTRA3, Axedo can fit to any other underground drainage pipe with adapters, which JDP can provide. This reduces the time of installation making it extremely quick which is suitable for house building projects which are often governed by a strict timeframe. AXEDO® take less time to install than brick or other PPICs. This, in turn, reduces cost of labour time which is a massive benefit for companies needing to hit compeletion targets. On average you could save up up to £1000 per chamber by using AXEDO® as a replacment for concrete when you factor in installation time, unloading and transporting and labour costs; as no skilled labour is required to install an AXEDO® base. Should I use it for the foul or surface water system? AXEDO® is suitable for both! This reduces the time and confusion of installation two types of bases. Yes! Some water authorities will adopt AXEDO®, check with your local water authority for details. 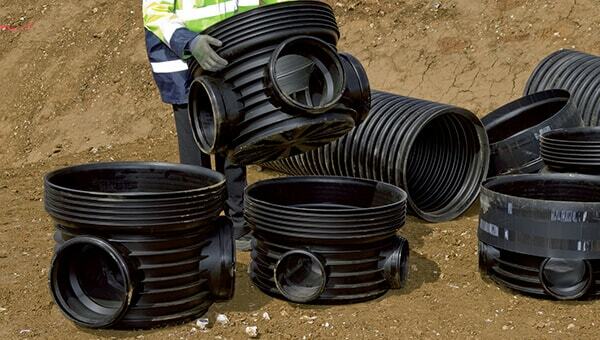 The AXEDO® range is suitable to be installed at depths of up to 6m when not adopted and up to 3m when adopted. What weight can they withstand? AXEDO® is suitable for up to D400 loading meaning they can hold a weight of up to 40 tonnes which is ideal for a housing estate as you are unlikely to get a vehicle heavier than this in an estate. How can I tell the difference between an AXEDO® and other PPIC bases? Although some are very similar in appearance, AXEDO® has a couple of stand-out features which make it easily recognisable. AXEDO® has red internal socket plugs and on the underside of the bases there are strengthing ribs over the smooth channels. 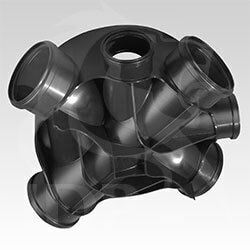 These are a huge benefit as they ensure that the pressure from the backfill or covered ground on top doesn't warp the chambers. 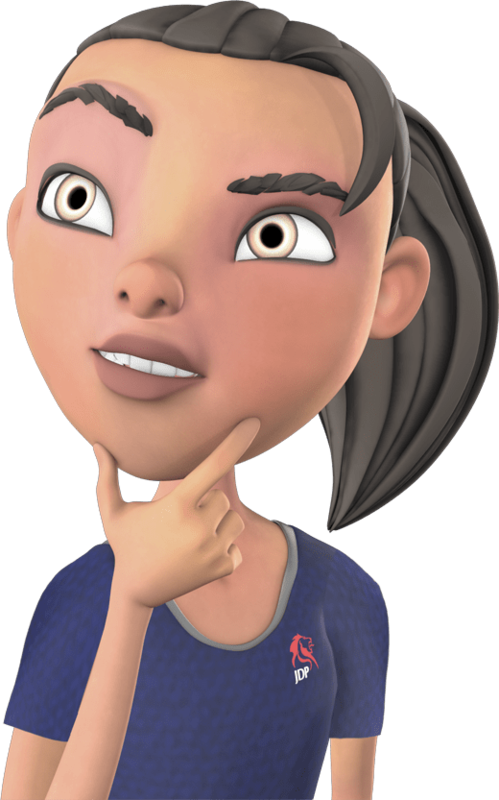 JDP can provide technical support from our team of experts who will be able to advise you with which products you need and provide answers for you free of charge. 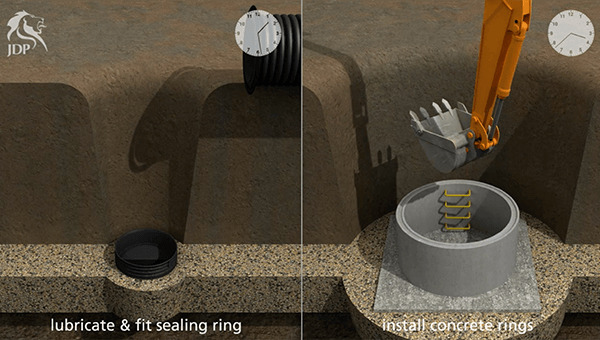 How deep can inspection chambers be installed? When and where do I need an inspection chamber?